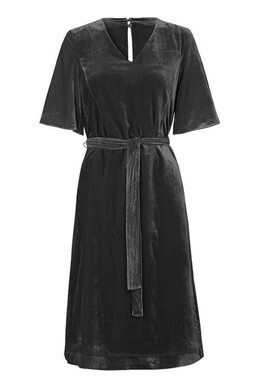 Fitted dress in velour with V-neckline. 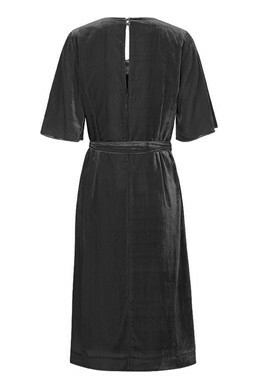 The dress is knee length and has wide, short sleeves. Dress it up with stilettos for one of this season's parties.